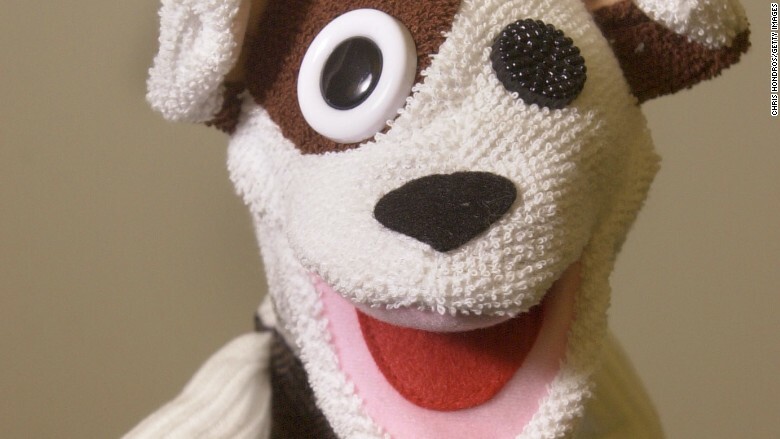 The Pets.com sock puppet has become synonymous with the dot-com bust. The pet food and supplies company is perhaps the most recognized flop from the dot-com bubble because of its famous marketing campaign. Pets.com ran ads of a dog sock puppet interviewing people on the street. The mascot appeared in a Super Bowl commercial and even got its own balloon in the Macy's Thanksgiving Day parade in 1999. But Pets.com's business model wasn't sustainable. The company lost $147 million in the first nine months of 2000, and the company was unable to secure more cash from investors. When Pets.com went public in February 2000, its stock started at $11 a share and rose to a high of $14. But the rally was shortlived and Pets.com's stock quickly fell below $1 and stayed there until its demise. The company folded in November 2000, laying off about 300 employees.